Tech Tip: Troubleshooting RS-232 command strings to TOA products. One issue we hear from time to time is that “My Brand X” controller cannot control a TOA product by sending RS-232 commands. I’m going to skip the low level detail and get to the point on how make your control surface work for you. The 9000M2 is looking for a hexadecimal string that it will read then react to the instructions sent. Amplifier. 9000M2 Series Amplifier responds with the same data as that received. Example 2: Setting the power switch to ON. A common misconception is that the H is required in the command string. However is this case it just noting that F4 is going to be a hexadecimal number. There is not a standard on how to format a HEX string for different control manufactures or terminal programs. So the first step to understand how the device you are working with is going want this string formatted. All of these examples could be valid to power the 9000M2 off depending on the serial tool you are using. My recommendation would be to have the ability to cross check a string with a Terminal Program. This way if the hardware controller does not work but the software terminal does, then you have isolated the issue most likely to how the device in question wants the string formatted. A key word search on the internet for “RS-232 terminal emulator” will turn up several programs that provide you the ability to send RS-232 to you TOA product. The first information you need is your PC COM Port settings. 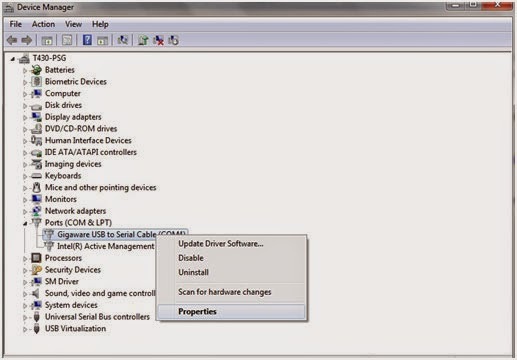 From the Windows start menu enter “devmgmt.msc” and enter, this will open the Device Manager. 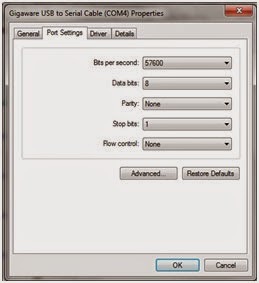 Click on the arrow to expand Ports (COM & LPT), select your Serial cable, right click and select Properties. Click on the Port Settings tab and note your settings. Once you have the information, click Cancel to close the window. Click the Open button to start the session. Note the screen will now display that your serial port is open. NOTE: This requires you already have a valid RS-232 connection to the 9000M2 or other equipment you are working with. Now select the Hex check box, in the Send field you would enter the command you would like to send. For this example enter F4 01 00 including spaces as seen below. Press the Send button; this will result in your 9000M2 turning off. Now if you were now send F4 01 00 the 9000M2 would turn back on. We hope you will find this tutorial useful. NTP stands for Network Time Protocol, and it is an Internet protocol used to synchronize the clocks of computers to a time reference. For this to work requires that the N-8000AF can reach the NTP Server on the Internet. There will different ways of doing this but it is important to note the N-8000 system does require static IP addressing. In this example, a request was made to the IT administrator to provide a range of static IP address that could get through a networks gateway to the Internet. 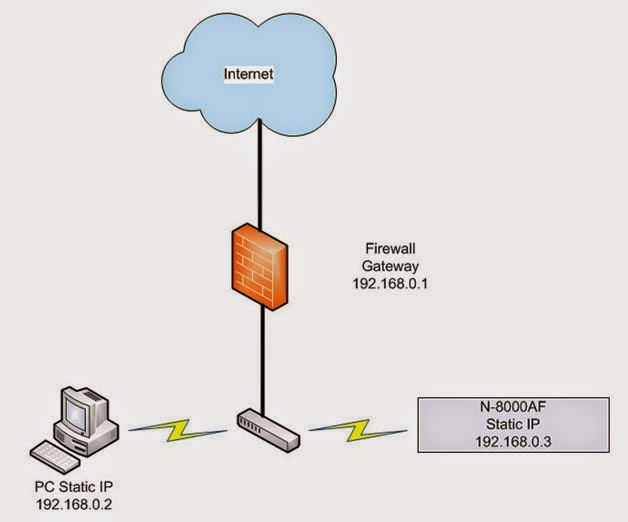 By using these static IP addresses the computer programming the N-8000 system and the N-8000AF would be able to reach the NTP time server. In the N-8000 Programming Software, open to the General > System Settings Tab. Set the N-8000AF as the Clock Master and NTP Client. 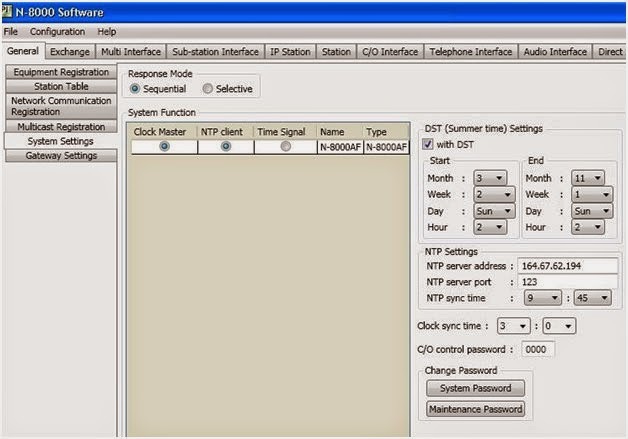 In the NPT Settings enter the NTP Server address, server port and sync time in hundred hours. If you now saved and uploaded your program file, the N-8000AF would be ready to send and receive time adjustment. The Ability to synchronize to an NTP Time Server is now possible with the latest N-8000 Programming software ver. 4.1.0 and N-8000AF firmware ver. 4.10. 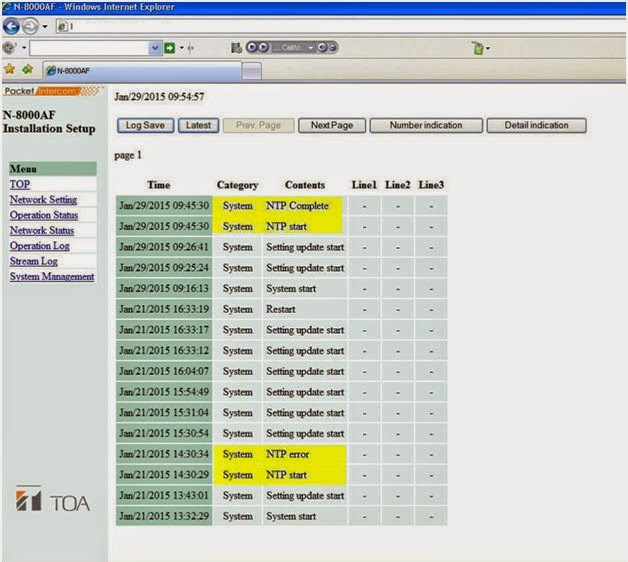 This feature will keep a schools bell schedule on time year after year without ever drifting. Because NTP is based on UTC which does not have a daylight savings time period, a switchover is not necessary inside the NTP system. The operation systems of servers and clients are solely responsible for switching from/to DST. You will need to enable DST settings in the N-8000 to keep Bell Schedules on time in the US with only a few exceptions. Here is are a couple examples of when there was a successful and a not so successful NTP time adjustment. At 09:45:30 you see the NTP start and then 09:45:30 NTP Complete. Time adjustment was made and system is working as expected. Now see 14:30:34 and you can that there is an NTP error. Let’s explore how to troubleshoot an NTP error. This web site allows you to enter a NTP address and check for a response. In this result the NASA server at 198.123.30.132 is not sending back command “adjust time server” as it does for the UCLA server at 164.67.62.194. Tech Tip: First test to see if the NTP server is sending back a time adjust. If it is and you are still getting an error proceed with these instructions. Test the NTP Server using the same PC that is programming the N-8000 System. For example if your N-8000AF is set to 10.10.1.10 you should be able to set a PC to that same static IP address and see it get a valid return. Also disconnect the N-8000AF when doing this test so there is not an IP conflict. On the N-8000AF open the browser page to System Management and verify the firmware version is 4.10 or later. This link will provide a database of possible NTP servers worldwide. NOTE: The NTP Server Port will always be 123 for all NTP servers.